They're on the auction block this June. (SPOT.ph) Collecting art can be a bit expensive, especially if you're interested in works by estemeed artists like Vicente Manansala and Jose Joya. This June, Leon Gallery and Salcedo Auctions showcase works that not only exhibit Filipino talent but are also teeming with our national history. 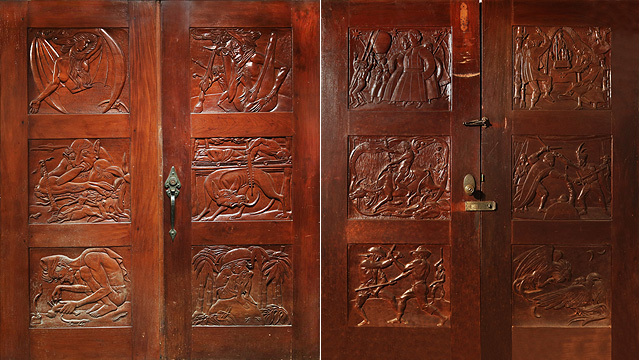 These works—like the carved doors by Botong Francisco, above—are definitely worth the hefty price. Leon Gallery director Jaime Ponce de Leon noted: "It is rare that these museum-quality artworks are exhibited at a single place—rarer still that they all come to market and to be sold in a single sale." You can choose from Salcedo Auctions' over 300 pieces—from rare paintings by esteemed artists to art jewelry that'll put a touch of elegance in your look. There are artworks by National Artists Jose Joya, Ang Kiukok, and Ben Cabrera, as well as indigenous Filipino items: Ifugao bul-ols, a pair of butaca armchairs, and 19th Century narra comoda. Also on display are crystal accents from Daum Studio, colorful vases by Charles Schneider, and Murano glass chandeliers. The Collectors' Sale is on June 3, 11 a.m. at Three Salcedo Place, 121 Tordesillas Street, Salcedo Village, Makati City. 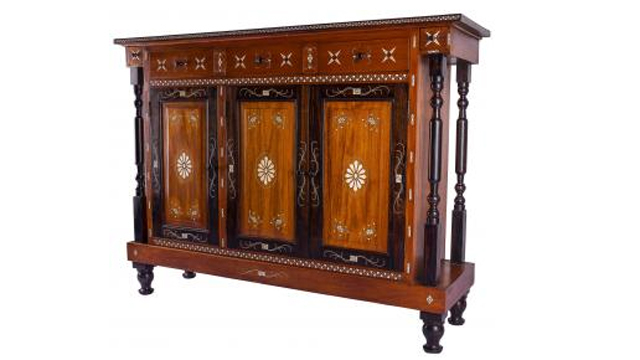 For more information, visit Salcedo Auctions' website. Leon Gallery dazzles art collectors with the most breathtaking selection curated by Ramon N. Villegas and Lisa Guerrero Nakpil. Included in the roster are Fernando Zobel's and Jose Joya's works featured at the Venice Biennale in 1962 and 1964, respectively. 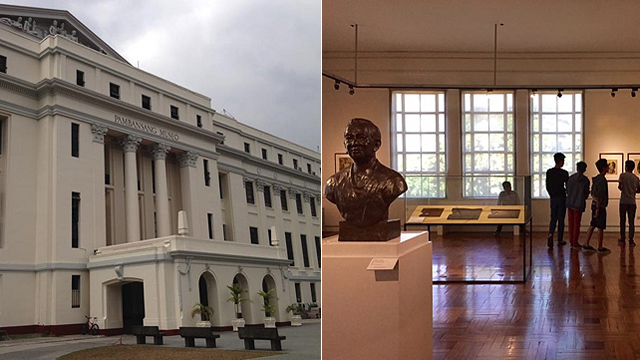 Also on display are Ang Kiukok's "Fisherman" (1981), Vicente Manansala's "Pila sa Bigas" (1979), and Fabian de la Rosa's "Hat Weavers," which was previously owned by Hollywood actor George O’Brien. There’s even a door carved by Botong Francisco that showcases creatures from Philippine mythology, such as the kapre, manananggal, and tikbalang. Another notable piece is an intricately carved bed that belonged to Maximo Viola, friend of Jose Rizal, and known as the man who financed the publication of Noli Me Tangere. Spectacular Midyear Auction 2017 is on June 10, 2 p.m. at Leon Gallery, G/F Eurovilla 1, Rufino corner Legazpi Streets, Legazpi Village, Makati City. For more information, visit Leon Gallery's website.